Reservations. 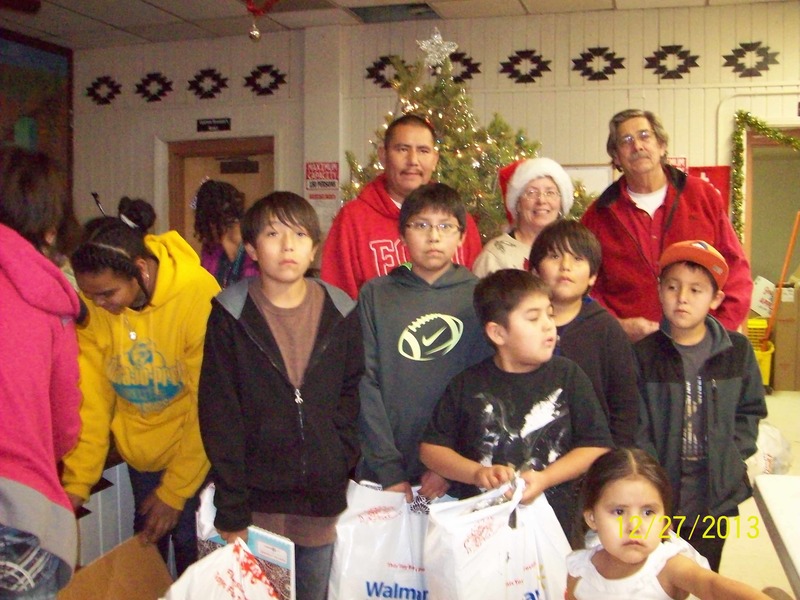 Our vision and goal is to help reach out with the Love of Christ to Native American families and children in need.IMG_0561Somebody Cares (Native American Outreach) is a charitable non-profit 501-(C) (3). First and foremost, we want to give God all the glory for Somebody Cares Outreach, and do not want to take any credit for ourselves. Jesus is the Somebody who Cares the most. And because He Cares!——We Care! 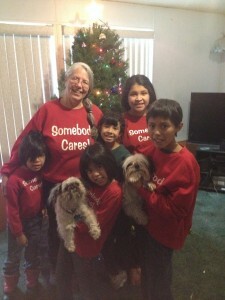 1 Peter 5:7 Since 1996, till present, Somebody Cares has been involved with food and clothing distribution to the Navajo and Hopi tribes, but now the emphasis has changed a bit, as Archie & Bettie MacArthur (founders of Somebody Cares) have commented in their own words “Although there are many in need, our affections have now turned to the needs of abused and neglected Children on the Reservations. Many children have had the misfortune of becoming the victims of broken and battered homes. These children deserve a chance. There is such a great need for parenting and shepherding these children. We can do our part and help as many as we possibly can, but the need is great! We need others to step-in to house children as well! The Tribes are even willing to allow the children to live elsewhere (if they have too), even with people such as ourselves who are not of Native American Blood. (As long as you are approved and become certified). So we urge you to consider and pray about helping a child. As the Bible clearly says in Prov 22:6 “Train up a child in the way he should go and when he is old, he will not depart from it.” Jesus said “Suffer the little Children to come unto me” Matt 19:14 All things are possible with God! So Lord help us open our hearts and homes. God Bless You! Make an online contribution by clicking the button below. We appreciate any help you can give! May God bless you! If you would like to find out how to get involved, contact us here! Follow what we are up to on our News Page!